Right outside my apartment is the “Sichuan Room”, a Cantonese-style Sichuan restaurant which serves amazing food at a low price. When I’m tired after a long day of work or study, I find comfort in a short visit to this restaurant. When I’m not interested in the $.25 options in the university cafeteria here at JNU, I take a two-minute stroll to a nirvana of tasty food. To the right you can see my cafeteria option. It’s green veges with eggs, cabbage, and cauliflower with meat. This is a very common proportion for most single-served Chinese meals. According to hundreds and thousands of years of local tradition, this ratio of veges to meat is ideal for a healthier life. Chinese, Koreans, and Japanese all enjoy their local food more than foreign styles. 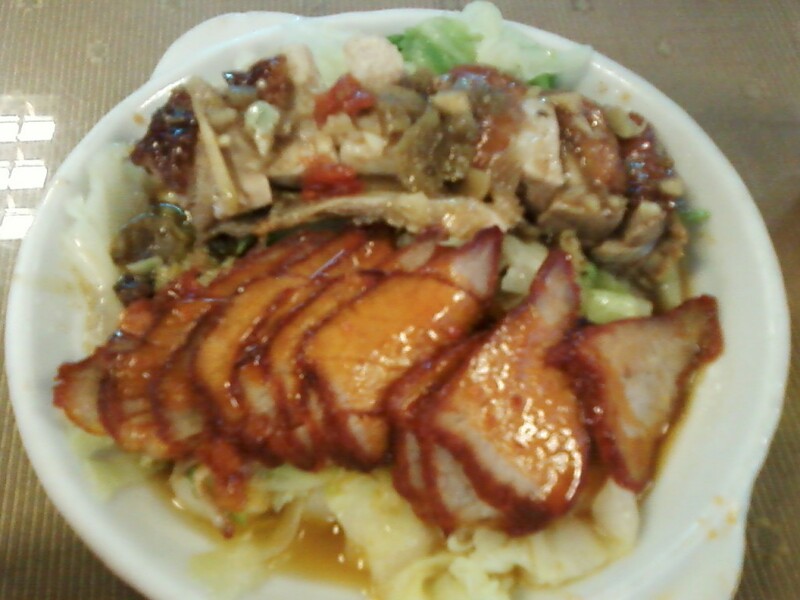 Their dishes are full of vegetable, meat, and fish options. Although we in the US consider these cuisines to be non-native, and therefore an occasional experience, it would be much healthier if we started following more of this kind of tradition. Check out my Asian recipes in AL.ME’s Cooking section!